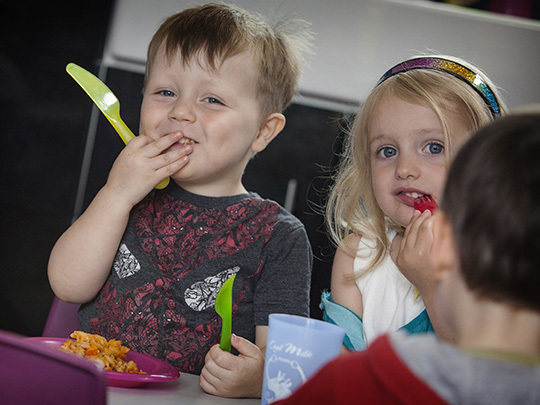 Provide 3 weekly menus which incorporate 5 portions of fruit & veg a day. Involve all children in using the greenhouse, growing and caring for the fruit and vegetables they have planted before using these in healthy cooking/baking activities. 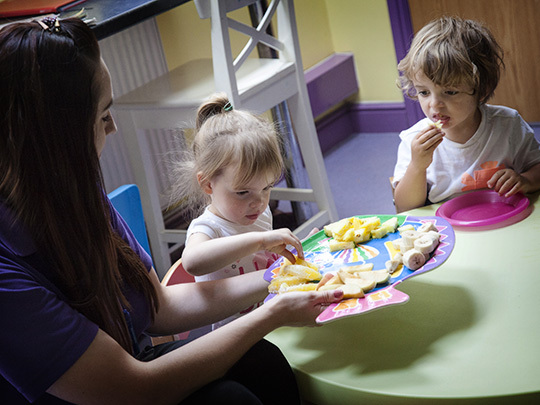 Invite the dietician and dentist to lead discussions and activities with the children. Provide and plan for a wide selection of exercise and sports activities. Display information about healthy practices for parents/carers. Provide opportunities to recycle, having our own compass area and frequent visits to the local recycling centre. All foods are cooked and prepared daily on the premises by our qualified and experienced cook. All staff preparing food have formal food hygiene qualifications. 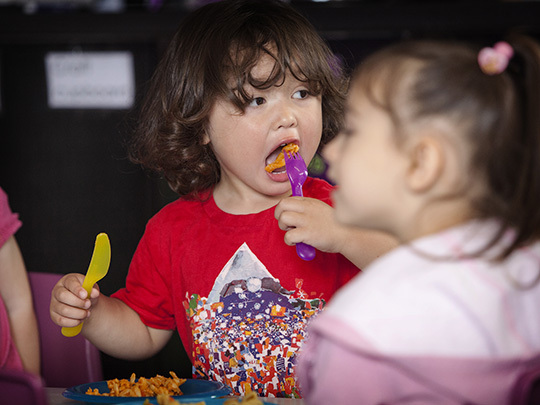 A written snack policy is implemented and food and drinks containing sugar are only provided at snack time. A hand washing policy is implemented. All food is prepared in a hygienic manner, with no contraventions of the Food Hygiene Regulations. 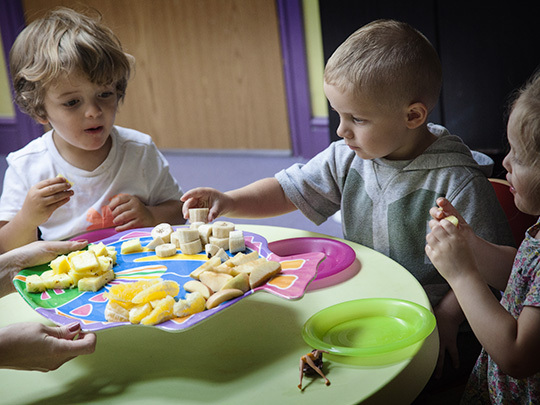 Fruit and vegetables are provided as a snack for children at least once a day. A “Sugar Free” reward system is in place i.e. praise, stickers. Educational input from the dental / nutritional health / environmental health services at least once a year. 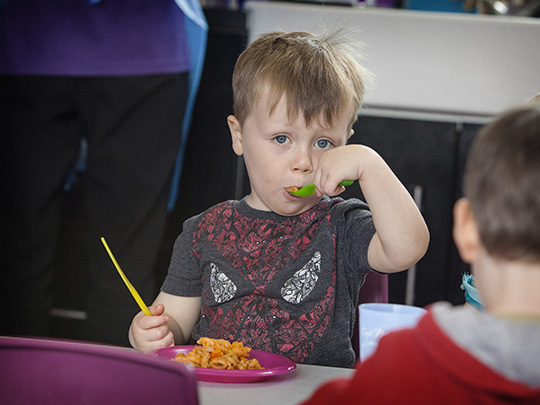 Staff actively encourage parents to continue the good work at home and eat 5 portions of fruit and vegetables each day. 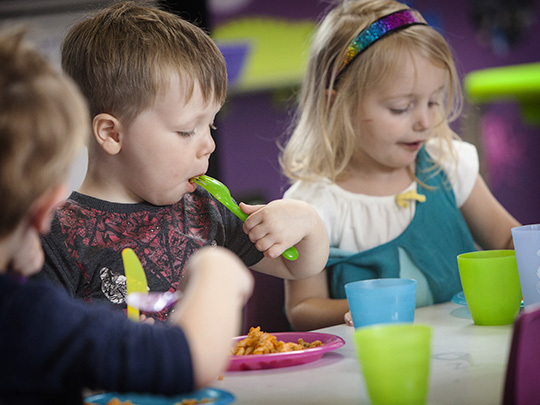 The ‘Golden Apple Awards’ scheme was designed by Bury Council’s Food Safety Team and Bury Primary Care Trust’s Community Nutritionist, for nurseries wanting to help prevent tooth decay, improve nutrition, and improve hand hygiene amongst children in their care. 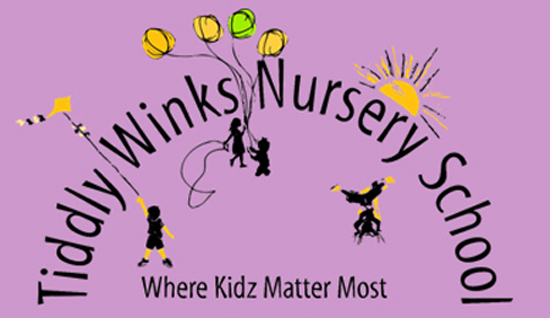 In 2005 60% of 5 year-old children in Bury had tooth decay, and at Tiddywinks Nursery we understand the importance of good dental health and healthy eating. We feel we can make a positive difference through the meals and snacks that we provide, and through educating children and their families.